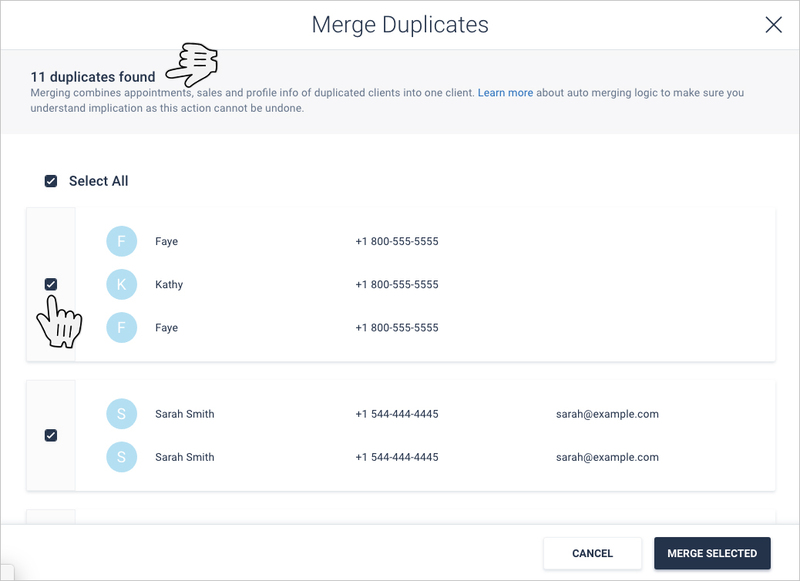 Shedul has powerful features to prevent creating duplicate clients, and handy tools to merge client records together. 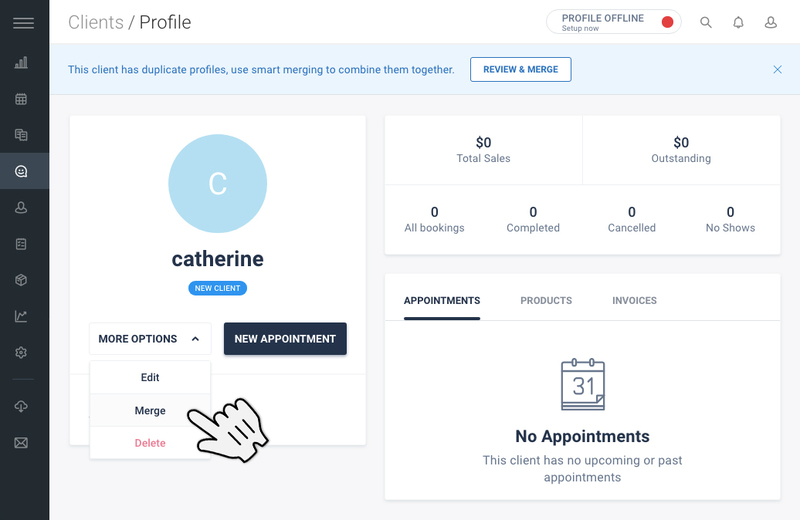 Our merging features make it easy to combine client names, contact details, appointment history, sales and notes all into one profile. 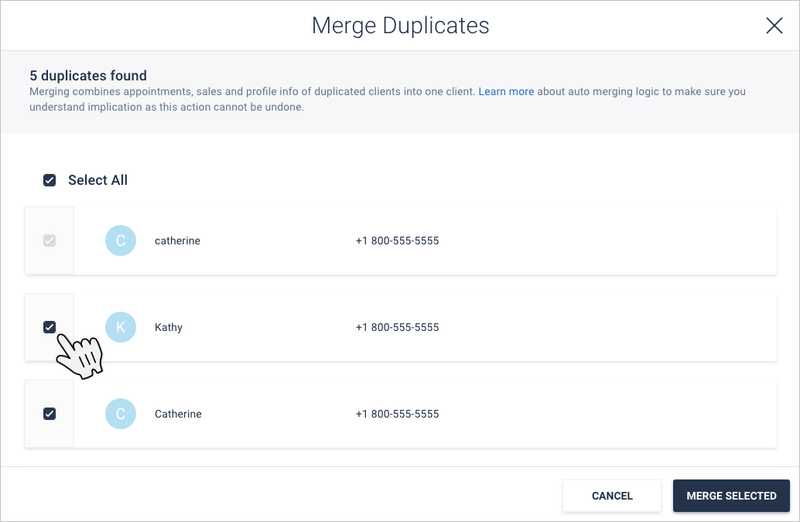 There is an Auto-Merge feature, to find all your duplicated clients and combine them with one click, and also a Manual Merge feature to choose specific clients to be merged together. 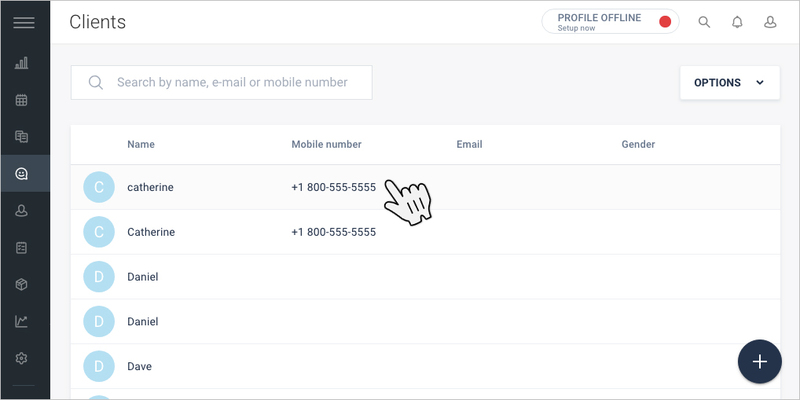 On top of that, Shedul automatically recognizes duplicated contact info whilst a new client is being created. 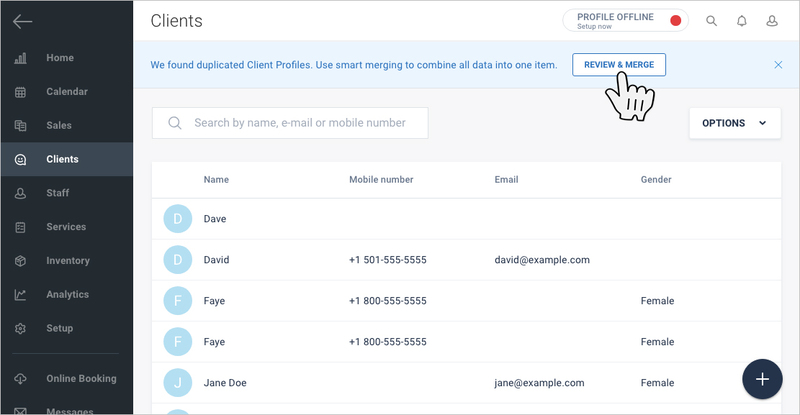 Shedul notifies you about any exisiting clients that have the same contact info, to help you prevent creating new duplicates. Can merged clients but un-merged? Can I merge two Fresha Clients? WARNING: Merged clients cannot be unmerged or recovered to their original state. The merging process is permanent and non-restorable. 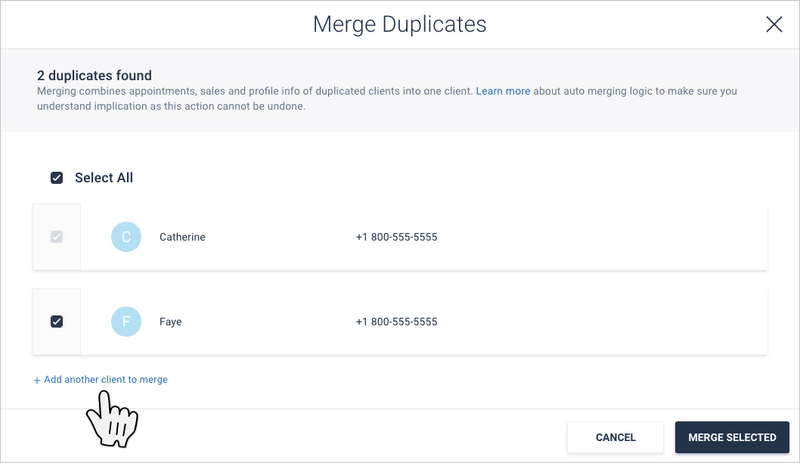 Should you have duplicates, the Smart Merge features will inform you under a blue banner. NOTE: Whilst using Auto-Merge; the contact details of the newest record are kept. If the client has a Fresha online booking profile, those details will be kept. 3. Can merged clients be un-merged? Merging clients as an action cannot be undone. Once they have been merged into one, they cannot be separated again. We recommend the owner of the account and the management team review their Permission Levels allocated to all staff members. 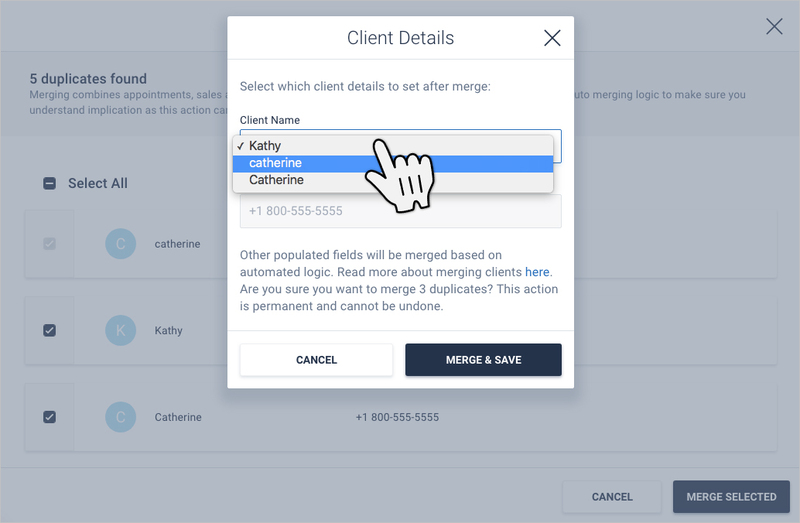 Anyone with access to Clients will have access to merging clients and auto-merge. 4. Can I merge two Fresha clients? 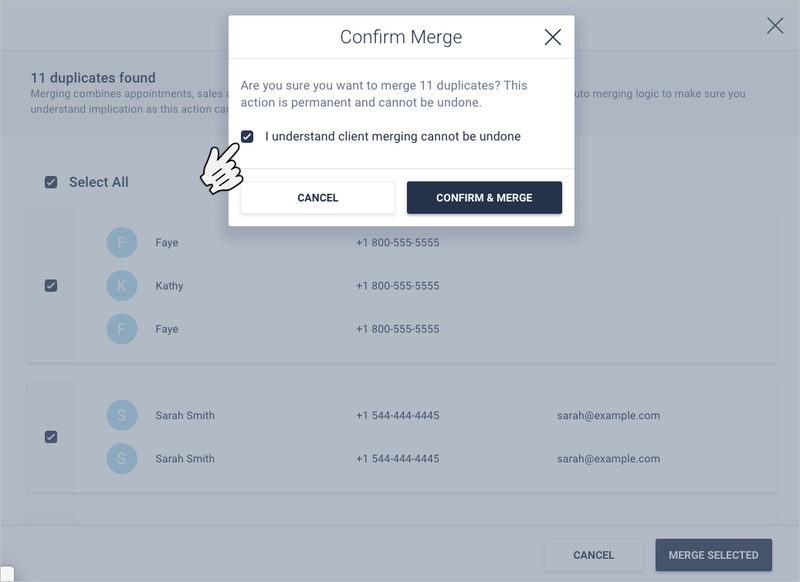 You are able to merge multiple clients within your shedul account into one client. If there is one Fresha online booking profile among the duplicates being merged, you can proceed with combining the client records. If there are multiple Fresha online booking accounts among a group of duplicates, they cannot be merged together. Fresha online booking profiles are created by clients themselves, so you are not able to merge their accounts on their behalf. In this case we recommend you inform the client they created duplicate online booking profiles in Fresha, so they can choose which account should be their primary /go to account.